The Federal Emergency Management Agency on Friday said it had taken “aggressive” corrective measures after mistakenly releasing detailed personal data of some 2.3 million disaster victims to a contractor. A "management alert" dated March 15 from the Homeland Security Department’s acting Inspector General John Kelly hit news outlets on Friday showing that FEMA in 2017 “did not ensure it shared with the contractor only the data elements the contractor requires to perform its official duties administering” the program that helps people displaced by disasters find shelter in hotels. Among the data released inappropriately, the IG found, were applicants' addresses, financial institution names, electronic funds transfer numbers and bank transit numbers. The data release violated the 1974 Privacy Act and FEMA's own internal guidelines, putting at risk victims of hurricanes Harvey, Irma, and Maria and the California wildfires who applied for federal aid, the alert noted. 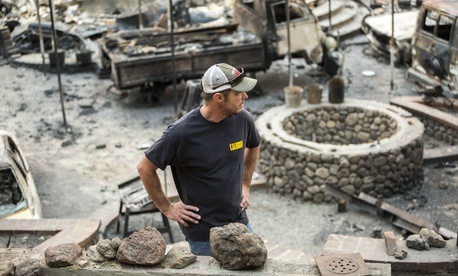 According to FEMA’s August 2015 performance work statement for the program, the agency should give the contractor only the applicants’ full name, birth date, last four digits of their Social Security number, the disaster number, program authorization, number of occupants in the household, eligibility dates, and other agency registration numbers. The IG faulted FEMA for insufficiently tracking which data were released, and for recording only the fact that the data were delivered. “Prior iterations of the TSA program required additional information such as bank names and account numbers; however, the current TSA program does not require the additional personal information,” the alert said. FEMA headquarters speculated that they might be able to remove the unauthorized data from the script used to transfer it, but cautioned that it would require time-consuming coordination with field offices. The contractor, the IG noted, was not required to notify the agency that it received the data. The IG recommended that FEMA implement new controls on data, and that the assistant administrator for the Recovery Directorate assess the damage and destroy the sensitive information. FEMA said remedies were already in progress and will be complete by June 2020. Rep. Bennie Thompson, D-Miss., chairman of the House Homeland Security Committee, tweeted that he had told the Washington Post that “This is unacceptable and FEMA must demonstrate it will do better in the future.” He said 1.8 million disaster survivors had their banking information revealed. FEMA said it has no plans to notify the victims of the data exposure. Image via RebeccaJaneCall / Shutterstock.com.